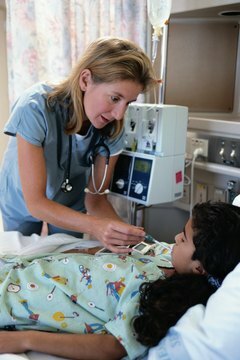 RNs often specialize in fields such as pediatrics. Swapping the letters behind your name from RRT to RN -- registered respiratory therapist to registered nurse -- will take time and money. How much of each depends on a variety of factors related to your current educational status. Respiratory therapists care for patients with breathing problems, while RNs might work with many different kinds of patients. Both careers are expected to grow faster than the average for all occupations through 2020, according to the U.S. Bureau of Labor Statistics. Your first step on this journey is to determine just where you stand and where you want to go. Determine how you will pay for your education and whether scholarships might be available. 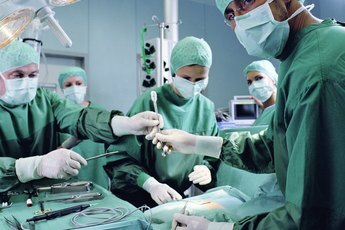 RRTs might have an associate or a bachelor’s degree. RNs can become licensed in one of three ways. The first option is a two- or three-year nursing diploma program. An associate degree, which takes at least two years, is the second option. The third option is a bachelor’s degree in nursing, or BSN. 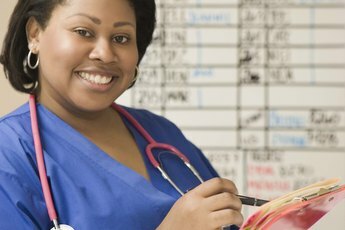 Associate degrees are the most common entry point for RNs, according to the National Organization for Associate Degree Nursing. If your interests and career goals lie in management or advanced practice, you might want to choose a BSN. This process takes four years and may be more expensive than earning a diploma or associate degree, but it has some advantages. A BSN is usually required for a management position and is also the springboard for a master’s degree. Advanced practice registered nurses such as nurse practitioners, nurse midwives and nurse anesthetists all need a minimum of a master’s degree. The BLS notes that BSN-prepared nurses are also likely to have more career opportunities. Whether you have an associate or a bachelor’s degree as an RTN, some of your classes may be transferable for an RN program. Anatomy and physiology, for example, are common to both disciplines. Discuss this issue with the school of your choice to find out which classes are transferable. In some states, you might be able to enter a bridge program, which is designed specifically to let allied health professionals such as RRTs become RNs in a shorter period of time. It you are an RRT with a bachelor’s degree you could enter an accelerated or fast-track program and have your BSN degree within 11 to 18 months, according to the American Association of Colleges of Nursing. Once you’ve completed your training, you’re not quite through. First you must sit for the national licensing exam, called the NCLEX-RN. This exam is the minimum hurdle, which demonstrates you’ve learned enough to be a safe nurse at the novice level. Leap over that hurdle, and you’re ready to apply for your nursing license. 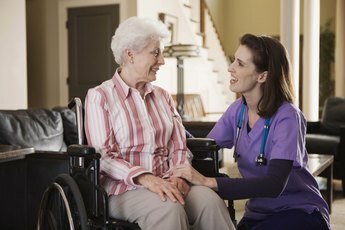 Each state regulates the practice of nursing, so you should apply in the state where you plan to practice. Once you have that license in hand, you’re ready for your new career as an RN. What Can I Do With a Bachelor's in Psychology & an LPN?